Welcome to the third post of my series on how to get more results from PowerShell. This tutorial will show you how to force PowerShell to export multi-value properties when exporting to csv files. By default, the export of multi-value properties will fail when being exported to csv. This will happen even if the multi-valued property only has a single value. 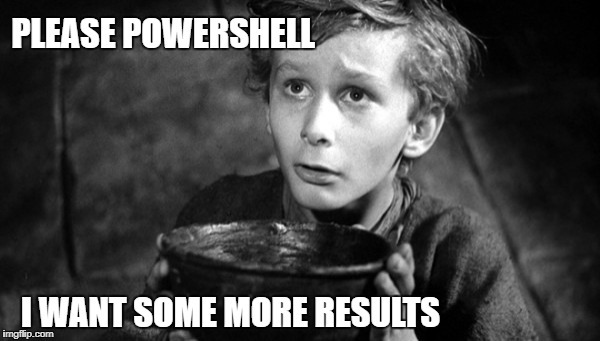 When you start creating PowerShell reports, you will quickly see that there are many different ways to output your results or queries. In many circumstances you will need to export your reports to csv files, for example when creating reports on users or mailboxes in your Organization. Unfortunately many user and mailbox properties have multiple values that are not easily captured and exported to csv when using a standard export script that may work in most circumstances (where the properties you choose to export are a single valued property). In a previous article, you saw that PowerShell would sometimes fail when exporting all the data, in particular when exporting properties with multiple values. As you can see below, when trying to export properties that are multi-valued with Get-AdUser - some properties failed to export correctly. Local Active Directory query export to CSV. As well as Local Active Directory, the export will also fail for some properties when using Azure AD v1 - MSOL cmdlets. For example, running the script below to export some basic details on an Office 365 user account using the cmdlet Get-MsolUser will work perfectly as all the properties I have selected only have a single value. However, if I edit the script to include exporting all email addresses, the export fails to export the multiple values for the property - ProxyAddresses. Exchange will also fail on properties with multiple values. The csv file had errors when reporting multiple values. We can force PowerShell to output all the values of a multi-valued property with the Join function before exporting it. 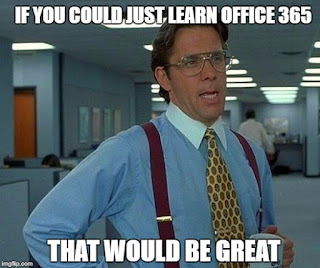 This works for all the previous and following examples in local Active Directory, Exchange and Azure Active Directory. Simply replace the property in your script that you have selected with the Join function above. Just update the line above with the correct Property (in red). The script below was used to export the values of three properties for a local AD user. The second and third property - MemberOf and ProxyAddresses, are multi-valued properties and will fail to export these values by default. To resolve this issue, we can edit the script to join the multiple values in the MemberOf property before exporting. - Be careful not to change anything else in the script, like the pipe symbol or commas. This resolves the issue and the script will now export the multiple values for the Property - MemberOf - to the csv file. Next we update Line 4 with the same 'template' and update with the property as before. This resolves the issue and the script will now export both of the multiple values for the Property - MemberOf and ProxyAddresses - to the csv file. The script below was used to export the values of three properties for an MSOL user. The third property - ProxyAddresses, has multiple values and will fail to export these values by default. To resolve this issue, we can edit the script to join the multiple values in the ProxyAddresses property before exporting. This resolves the issue and the script will now export the multiple values to the csv file. The same process can be applied to resolve issues with Exchange local not exporting multiple values to CSV. Error - Exchange issue exporting multiple value properties. As you can see in the screen shot below, the csv file shows incorrect data for properties with multiple values. So let's try updating these one at a time to see the results. Here is the script in PowerShell ISE so it is easier to read and understand the changes. I have used Enter after each of the properties that are selected, and this script will work in ISE if the Exchange PowerShell snap-in is loaded. As before, the script will fail to export the information correctly, giving the results below. Just like in the previous examples, we can join all the values of a multi-valued property with the Join function before exporting it. In the script below, I have updated the line GrantSendOnBehalfTo to use the join function. Note that the comma is still at the end of the line. Now I will update all of the properties that are multi-valued properties and have failed in the original script. As you can see below, the script now exports all the multi-valued properties correctly. I found the 'template' below to work fine with MSOL Azure Active Directory and Exchange, but failed with Local Active Directory on Server 2016.